14 members of the council voted in favor of the resolution; including Britain and France. 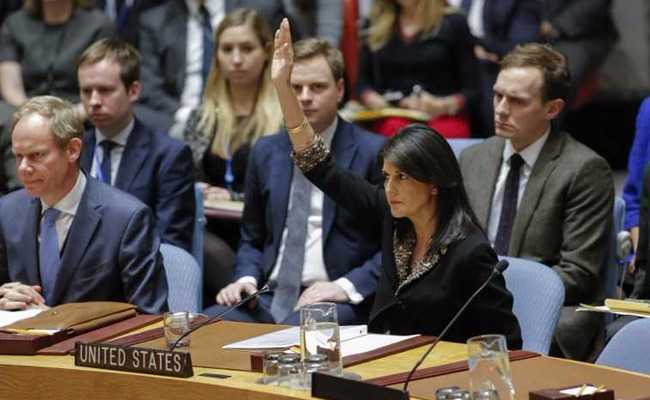 However, for the first time in over six years, US delegate to the United Nations, Nikki Haley, voted against the resolution using the United States’ veto power as one of the permanent members of the UNSC! Haley insisted that Trump’s recognition of Jerusalem will not affect the peace process, adding that the United States is still committed to direct negotiations. However, Palestinian Authority President Mahmoud Abbas stated earlier that “the U.S. should no longer be involved in brokering the Israeli-Palestinian peace agreement”. The United States will not be told by any country where we can put our embassy. As Palestine expected the Veto, they decided that they’ll be switching their focus from the Security Council to the General Assembly, where no one can Veto the assembly’s decision. A resolution from the General Assembly does not have the same weight as a resolution from the Security Council, but it shows international consensus against the US unilateral recognition. 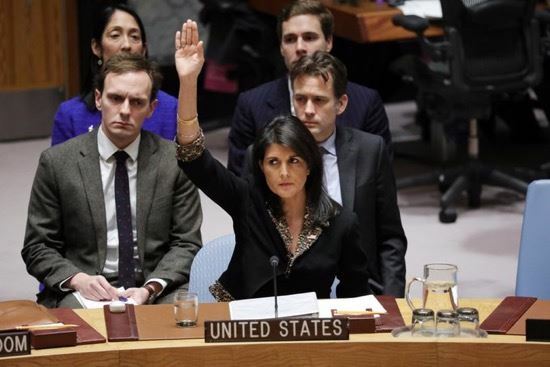 Haley called the proceedings an insult that won’t be forgotten, claiming that they’re using the Veto in defense of American sovereignty and of America’s role in the Middle East peace process. WE SAID THIS: We’ll keep you updated with the latest news on this sensitive case.